It’s been a tough few years for Ireland. In less than a decade, it went from being one of Europe’s success stories – before the financial crisis, experts like Thomas Friedman implored other countries to follow its lead – to a bailout. By 2010 its banks had been bailed out to the tune of €64 billion and the IMF had to step in to prevent the country from going under. It looked like they’d turned a corner when the government announced spectacular 2015 GDP growth rates of 26%, far higher than the 7.8% that had been predicted. But those figures were quickly called into question. However, things do seem to be looking up for the once beleaguered nation. Here are three causes for celebration this St Patrick’s Day and beyond. Back in 2012, a few years after the global financial crisis that battered Ireland, unemployment rates reached 15.2% (31% for young people). But in recent years, the Emerald Isle has been on a good run. By December 2016, unemployment rates had fallen to 7.2% – lows not seen since 2008 – and that downward trajectory looks set to continue, according to estimates from the European Commission. There’s just one fly in the ointment: as more jobs are opening up, Irish people don’t always have what it takes to fill them. According to a recent report from Hays, Ireland has one of Europe’s biggest skills mismatches. The Irish have a long history of immigration, but this exodus picked up speed in the years following the economic crisis, as people were forced to leave in search of work. In 2015, one in six people born in the country were living abroad, the highest share among OECD countries. But last summer that trend finally went into reverse: for the first time in seven years, Ireland had net migration, attracting as many people as it was losing. Yes, those 2015 GDP growth figures were widely criticized, including by Irish commentators. But beyond that dispute, things are actually looking good. 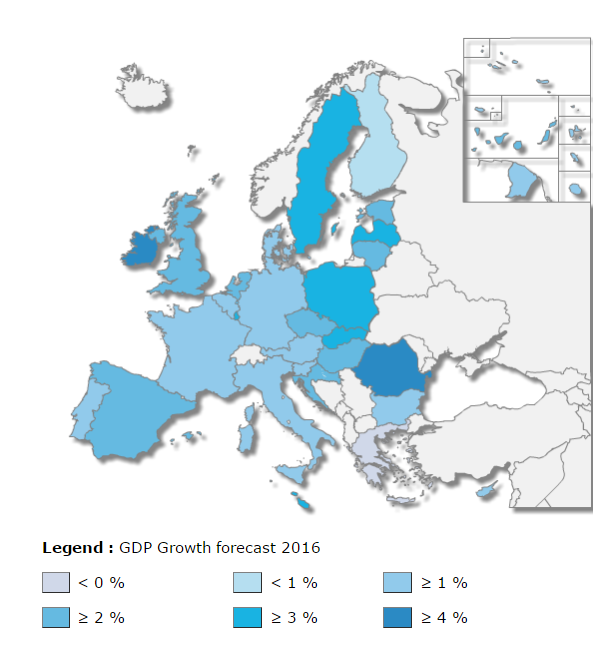 Earlier this month, news outlets reported that Ireland’s economy grew 5.2% in 2016, making it the fastest-growing economy in the Eurozone.